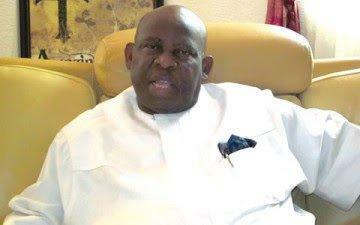 The Chairman of the Peoples Democratic Party (PDP) in Anambra State, Prof ABC Nwosu has resigned his position. His decision follows the party’s woeful outing during last Saturday’s governorship poll. The party suffered resounding defeat, coming a distant third behind the All Progressives Grand Alliance (APGA) and the All Progressives Congress (APC). Nwosu was appointed in August following the dissolution of three parallel executives in the state. The professor has served as Minister for Health prior to his appointment. During his swearing-in, he promised to deliver the state to the PDP. Nwosu’s resignation has further thrown the party’s chapter in the state into more crisis. Few hours after his resignation, some party chieftains including members of the National Assembly, petitioned the National Chairman of the party, Senator Ahmed Makarfi for a postponement of the state congress. The petition to Makarfi is takes into consideration the loss at the poll and the death of former Vice President Alex Ekwueme. Party members in the state are still trying to recover from a horrible weekend. The petitioners also claimed that going ahead with the congress would make party members object of mockery as it would mean an insult to the memory of late Ekwueme.